Moving is never straightforward, and often a complicated relocation also requires storage of your household goods for a finite or indefinite time period. Whether you need short-term storage while staging your home, long-term storage for a temporary relocation, commercial storage for an office move or in-transit storage for a complex long distance move, warehousing services may be essential. Finding moving companies with storage facilities can be a vital service to those with a moving plan that includes a storage component. 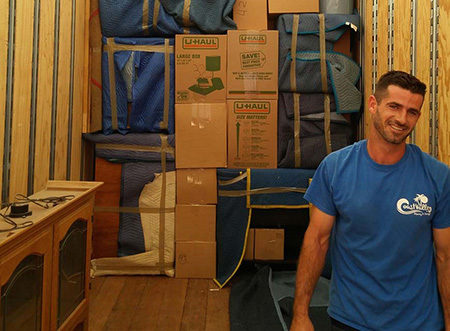 The Orange County moving company storage services from Coast Valley Moving & Storage provide you with comprehensive options that will make moving a breeze. If you’re looking for San Clemente moving and storage services, look no further than Coast Valley Moving & Storage. From office moving commercial storage services to residential moving and household storage facilities, our professionals are here to make sure your move goes smoothly. Both long-term storage and short-term storage options are available before, during, and after your move. Our comprehensive services include full-service packing solutions, custom-crating, transport, and more. Coast Valley Moving offers comprehensive solutions to your household moving and storage needs. Our San Clemente residential movers offer various storage options suited to the needs of local households. Whether you require temporary storage when showing a home or extended storage to accommodate your family when settling into your new home – or seasonal storage when you want to clear out the garage – rely on Coast Valley for the right storage solution. From local moving with short-term storage to international relocation and extended storage, we can take the stress out of your move. Our experienced professionals will perfectly coordinate your moving and storage services, preparing just the right space in our household storage facility with services timed perfectly with your household move. Allow us to allowing you to focus on the things that really matter during this busy time of life. Whether you’re moving your office in town, renovating your commercial space or relocating your business out of state, our expert commercial movers deliver comprehensive moving services paired with custom business storage options. Our San Clemente commercial storage facility includes rack, pallet, vaulted and even climate-controlled storage options to suit virtually any item you may need to house in our facility. For over 40 years we’ve been providing secure storage solutions that include advanced fire and theft protection systems. Our warehouse facility is fully equipped with fire detection and sprinkler systems as well as 24-hour surveillance with alarms serving both fire- and theft-protection. State-of-the-art secure storage systems ensure the safety and security of your belongings. Professional move and store services are more affordable than you might think. Contact Coast Valley Moving today to request a free, no-obligation estimate!